An embarrassingly long time ago, the lovely Sara @Freadom Library has tagged me for the Ruler of Books Tag (originally created by Ariel Bisset) and now, after months of waiting, the day has finally come – here is the tag!! Hmmm, ultimately I would like everyone to read The Book Thief. It’s history (especially one that has a lot to do with my country as well), compassion, emotions and love for books all wrapped up in one beautifully written novel. From here on out, publishers would have to pay a mighty fine for changing covers/sizes in the middle of a series. There are very, very few examples of books where it was good that they did that, so under extreme circumstances, they can do a public poll and let readers decide if they want the cover change. 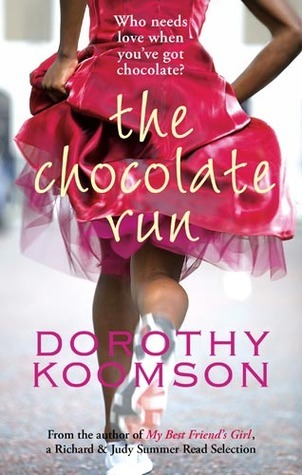 Apparently I only have one 1-star-book on Goodreads and that’s Chocolate Run … but I can’t remember what it was about or why I didn’t like it. But if it was that forgettable it couldn’t have been majorly amazing I suppose. Whoever did the covers for the Firebird series! You are my man/woman! My baby August Flynn! Maybe that would indirectly show him how much he is valued *wink, wink* and people wouldn’t see his eyes all black like they would on a photo. So, that’s another plus. Gosh, there were SO many good books this year! Where do I even begin!? To make it easier, I am not choosing a fictional piece, but rather Hamilton: The Revolution. THIS BOOK IS BEAUTY IN ITSELF! 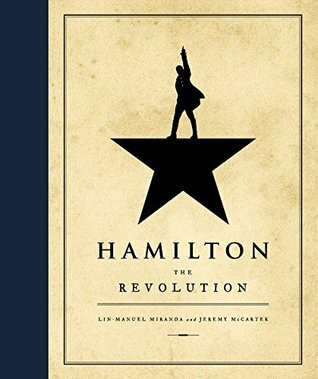 Lin’s side notes are hilarious and the stories behind everything are inspiring and heartbreaking and I still don’t know why I am so obsessed with an American founding father, but I clearly am! As always, feel free to ignore this if you’ve done it before or simply don’t want to! However, everyone who feels inspired or likes the tag is more than welcome to try it to. CONSIDER YOURSELF TAGGED! Oh my god I hate it whenever covers are changed in the middle of a series! It’s the worst! The covers for the Firebird series are spectacular. I would definitely want that cover artist as my cover artist. It’s the worst when they just up and change it for no apparent reason. And the Firebird books are sooo pretty. Even the alternative covers they had in store were gorgeous. And also I hate how I ordered the last three books in the raven cycle series and then the last one was a UK cover which has a different look to it (mainly the spine) and it’s shorter. It’s still beautiful but it’s going to bug me. OMG YES! I got the whole Raven Cycle for my birthday and book 2 and 4 are UK covers and 1 and 3 are US ones … WHYYYY? My bookshop didn’t even have others available. And also, I spent months searching for the old Mortal Instruments cover for the last book, and I finally found what I thought was the same cover (but apparently was the UK one, which looks really similar) in a book store so I bought it, but it ended up being shorter than the others and having different fonts on the cover. oh nooo 😦 And now they don’t even reprint those anymore. Exactly! It’s the worst situation ever! And also, same thing goes for the Percy Jackson series, though I was able to find them certain places in their original covers. I hate it when that happens! I mean, sometimes I love the new covers more, but when you already have the old ones you want them to match! Right!? They are just so beautiful. The other day I saw alternate versions of what they might have looked like and they were just as gorgeous. I can’t get over their beauty! Yes I saw them as well, those were very pretty too. I’m in love with the covers! The moment I first saw the first book, I was like I NEED this book! Totally agree, The Book Thief is the perfect choice! YAY! I am looking forward to your answers! YES to all of that!!! Firebird series covers are so gorgeous! I agree with you. Book Thief should be read by every single person! Hahaha you should start a campaign to make me ruler. I would happily take the burden.